on your game. These settings don't guarantee that you will win the game, but they ensure that you have a head start in a game that's not very welcoming for new players. Every single new player of PUBG Mobile finds it annoying to hear other players screaming into their mics or sometimes even using profanity in the middle of a game. There's an easy way to disable this in the game. Once you're in a game tap the Speaker icon and set it to Off, and then tap the Microphone icon and set it to Off. This will mute everyone and you can focus on sharpening your skills till you're ready to chat while playing. For every smartphone, PUBG Mobile recommends certain graphics settings for best performance. This is not always accurate though, sometimes you will find better performance or visuals that you prefer when you stray away from PUBG Mobile's recommendations. Go to Settings > Graphics and choose your style of visuals in the game. You can choose between classic, colourful, realistic, or soft — this changes the colour tone in the game. Choose one that looks better on your phone's screen as classic doesn't work for everyone. These filters are just cosmetic changes to the visuals and some people claim that the colourful mode helps them spot enemies more easily. 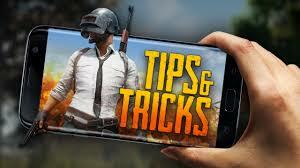 The first thing you should do in PUBG Mobile is change the controls. Once you open the game go to Settings (gear icon) > Controls > Customise. This option is on the bottom-left once you're in the Controls menu. Now you can move the fire button around and place all other buttons wherever you find them to be the most comfortable. This setting is so good that it's baffling it's not enabled by default. Peek and fire allows you to get pop your head out when you're hiding behind cover and to shoot at enemies. This means your foes have just your character's head to aim at — which is harder to hit than the character's body — and you get a chance to land some hits from the safety of cover. You can enable this by going to Settings > Basic and tapping Enable next to Peek & Fire. Some players also recommend enabling Peek and open scope. This automatically opens your gun's scope when you peek, giving you a magnified view of the surroundings and a greater chance of spotting enemies. You can enable this by going to Settings > Basic and tapping Enable Peek & Open Scope. There's a limit to how much inventory you can carry in PUBG Mobile, but it's always better to pick up more ammo. The game has a limit on the number of rounds you can carry and we recommend that you bump it up a little to ensure that you're never short of ammo. For fast-firing guns, set it to around 200 rounds. You can set different limits for different guns, so set these wisely. Head over to Settings > Pick Up and set ammo limits there for each gun.